Congratulations to all of this year's winners! Our awards are based on the nationally recognized CDC Worksite Wellness Scorecard. Points are assigned for proven health promotion strategies in the key areas of organizational supports, tobacco control, nutrition, physical activity, chronic disease management, stress management, occupational health and safety, preventive vaccinations and diseases, and community resources. There are a total of 106 questions weighted for a maximum score of 228 points. This year we had 60 applications and are recognizing 49 awardees. In all, 35 organizations recognized below primarily operate in Louisville, while 14 are located outside of Louisville. 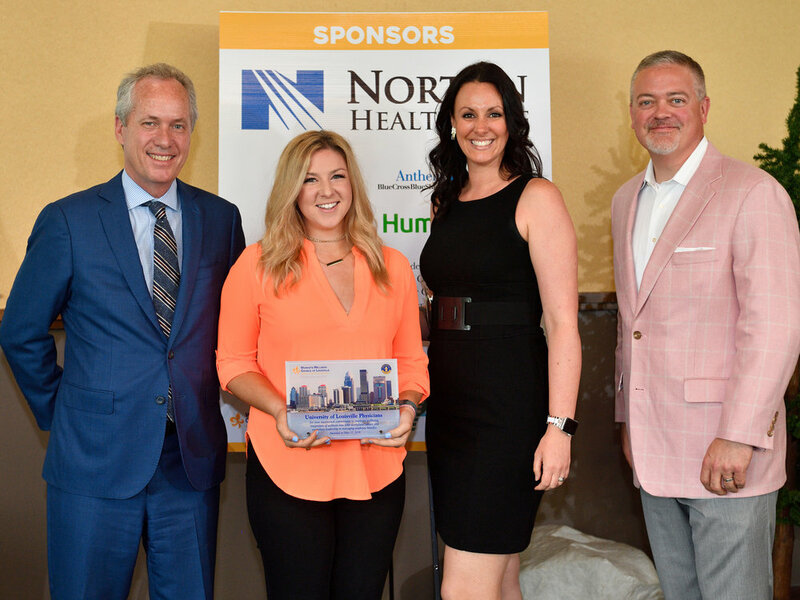 This year's awards were presented by Louisville Mayor Greg Fischer (on the left) and Dr. Jim Frazier, Vice President of Medical Affairs for Norton Healthcare, presenting sponsor of the event (on the right). Four years ago, the planning committee created this special award the "Fleur de Lis" for companies who excel in their wellness efforts by hitting their wellness targets/goals. We are very excited to continue this award again this year to four outstanding organizations within the size categories of small, medium, large and very large. Top Management support: This is critical for success and continued implementation of wellness programs. This includes an established Mission/Vision Statement along with a defined plan for ongoing development and purpose for support. Program variety: Utilization of various means for extending the wellness programs including lunch and learns, webinars, assessments, incentive/reward programs and classes. Community engagement: Activities including walk-a-thons, service related projects like the Mayors Give a Day of Service and other team building opportunities. Targeted improvement increases: Highlighted growth and improvements. For example high increase in participation rates and other success stories. 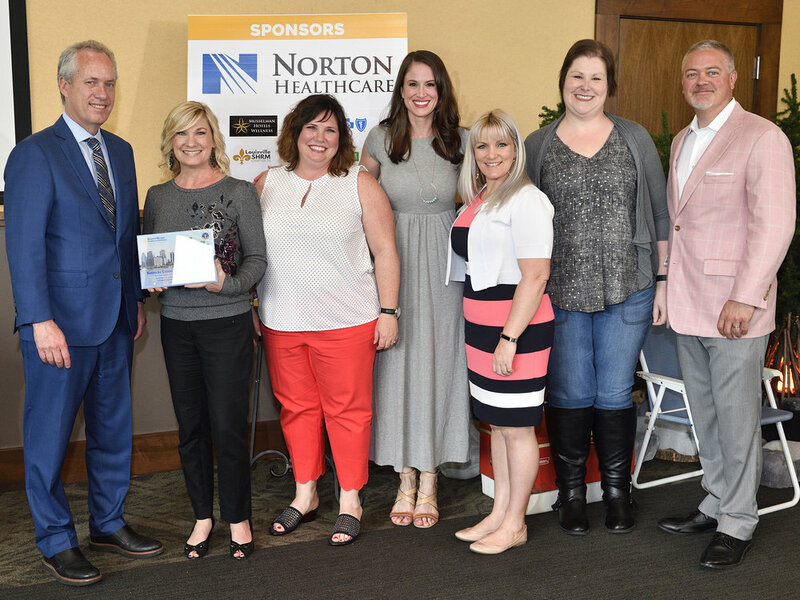 In our 4 previous years of extending this recognition, our past recipients have been: Baptist Health Floyd (2017), Christian Care Communities (2016), Humana (2016), Insuramax (2014), Kentucky Center for Performing Arts (2016), LG&E and KU Energy (2016), Musselman Hotels (2017), Norton Healthcare (2015), Our Lady pf Bellefonte Hospital (2015), Raytheon (2014, 2015), The Down Chemical Company (2014, 2015), and UPS Airline (2014). These outstanding organizations continue to inspire other companies toward wellness success. 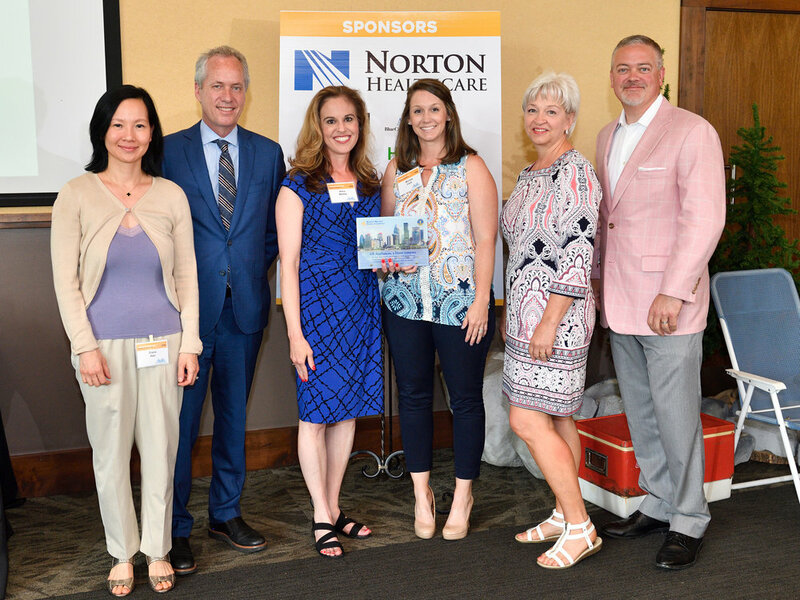 Norton Healthcare had 80% of their employees engaged in their worksite wellness program N Good Health. This has lead to decreased medical expenditures, improved biometrics, and decreased tobacco utilization. They’ve partnered with the YMCA to provide onsite fitness centers 24/7. 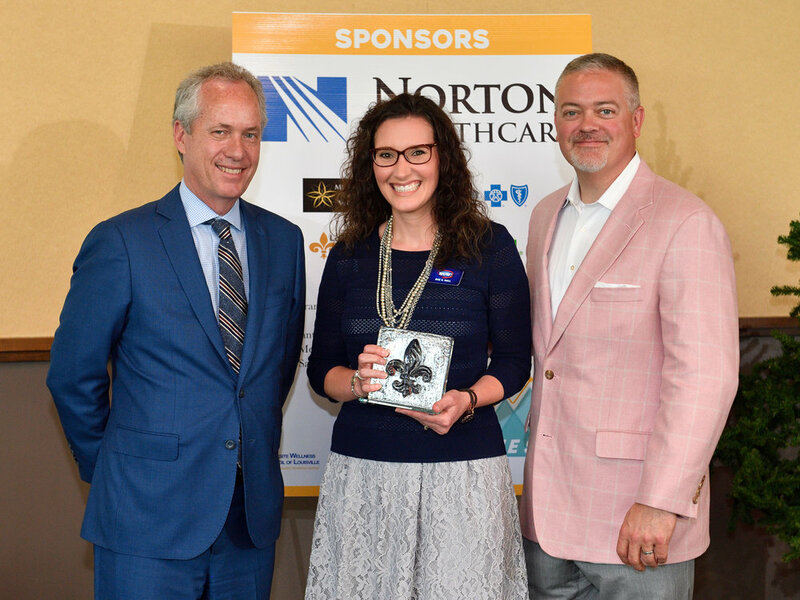 Additionally, Norton Healthcare partnered with local organizations to support community initiatives that improve the lives of those living within Louisville. Senior leadership has been highly supportive in creating a work environment that is both healthy and active. Dow Chemical went completely tobacco free (cigarettes, e-cigs, and now smokeless tobacco) in 2017, despite having a large group that uses such products. This has lead to an increased interest in employees wanting to quit tobacco. Additionally, Dow Chemical had several wellness champions who offered motivation and encouragement to employees striving to lose weight. They have had tremendous success in improving the lives of their employees. American Printing House for the Blind focused on safety in 2017 by initiating several new safety processes and procedures. This lead to a significant decrease in work-related injuries and accidents. They employed a large wellness team to create more health conscious activities focused on wellness initiatives. They have seen increased engagement and satisfaction with their employees. Paducah Bank is truly committed to creating a culture of health and wellness from senior leadership down to front-line employees. They implement the 7 pillars of health, which includes not only physical health, but financial health, emotional health, and mindfulness to name a few. They provide 24/7 private medical care access to all employees, spouses, and dependents at no cost to employees. This has lead to decreased emergency room visits for non-urgent medical care, leading to a decrease in health insurance claims. Paducah Bank focuses on removing barriers that prevent their employees from taking care of themselves and their families. Chemical & Industrial Engineering, Inc.
Congratulations to all of our winners! This year we've developed icons for you to use to promote the awards and your accomplishment. Just right click on the one you need and choose "Save Image As." If you need them in another format just email us and ask.